Welcome to Beechwood Retreat! Escape the heat and enjoy the fresh air and cool temperatures of Beech Mountain. Reaching an elevation of 5506 ft, Beech Mountain is one of the highest peaks on the eastern seaboard. 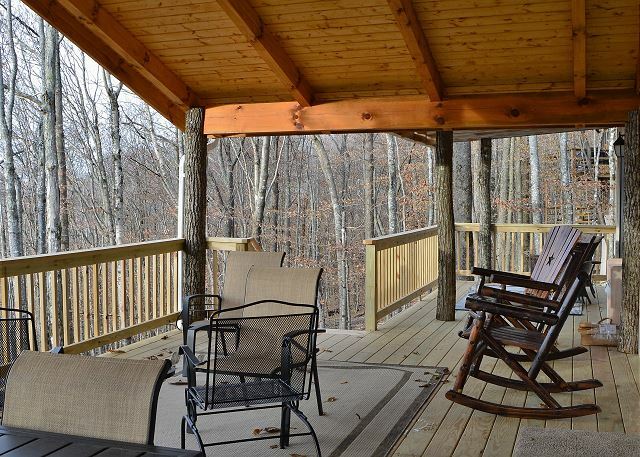 Beechwood Retreat is situated at elevation 4643 ft. 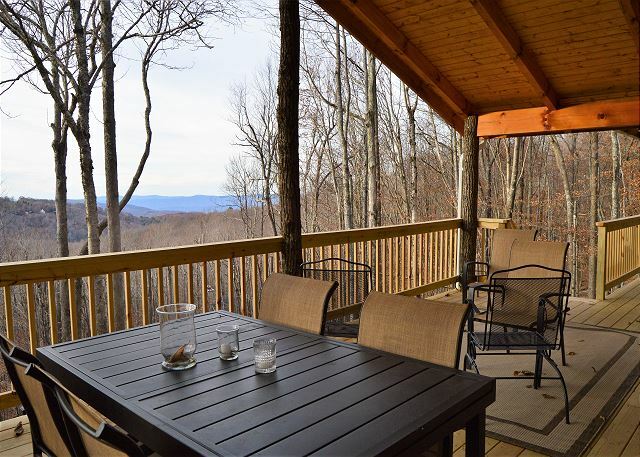 Enjoy beautiful long-range views from one of three well-appointed decks or sit around a crackling natural stone fire pit amongst the trees. Weather it is skiing at Ski Beech Resort, less than 1-mile away, mountain biking and hiking at the resort or local trails, or many of the area festivals and wineries, there is always something fun to do nearby. Explore neighboring towns such as Grandfather Mountain, Banner Elk, Linville Falls and Blowing Rock, which are short 15 – 30 minute rides with astounding views that make the drive memorable. We are a short walk to Perry Park with its cascading waterfall and the Pond Creek Hiking Trail. 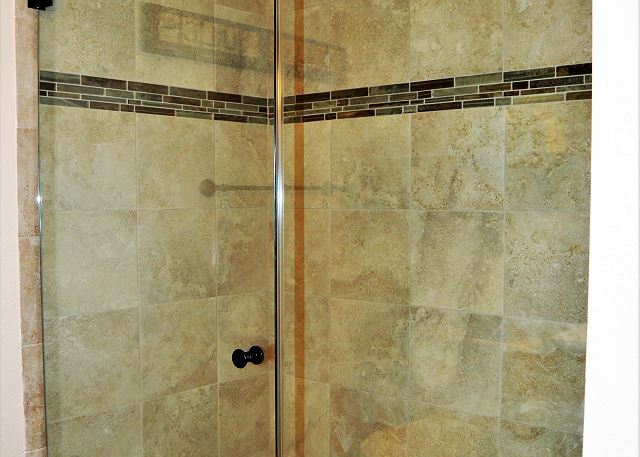 This four bedroom, 2.5 bath home is the perfect place to rest your head. Beautiful 3 level home with easy entry has wireless internet, smart TVs in all bedrooms and living room, washer / dryer, modern updated kitchen, ceiling fans, fire pit & gas grill. Downstairs – Two Queen bedrooms with Jack & Jill full bath with tub & shower, laundry and covered deck with access to yard. Main Floor – Living Room with gas fireplace, dining with seating for 8, kitchen with all new appliances and gas stove; Oversized covered deck with table seating for 8 and gas grill. Queen bedroom with ensuite bath with double vanity and walk in shower. Upstairs – Large private retreat with King bed ½ bath and private deck with astounding views. Check with rental agent for Beech Mountain Club access during summer season – includes golf, swimming, tennis, dining, fitness center, etc. Transfer fees applicable. During winter months, it is recommended to have 4-wheel drive or snow chains to navigate some mountain roads. Our gravel driveway can accommodate four vehicles. It is a circular drive with a wide area at one end for parking. Another great feature about this property is Tamarack Road is paved and is plowed regularly during snowy weather.